I have been excited to try this weave ever since seeing the swatch in Malin Selanders book Swedish Swatches. 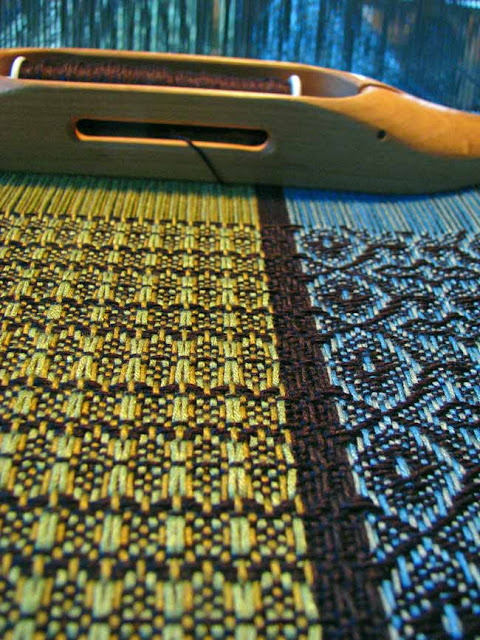 After a couple of mishaps on the warping reel, a couple of slow starts having to rethink the threading for the black, I was finally weaving and watching the fabric grow. And I don’t know if it was the classical music I was listening to, or watching the undulations of the pattern as it appeared but I felt like I was creating music with each throw of the shuttle. Hearing it, seeing it and weaving it. Hard to describe but immensely satisfying, especially since I can’t carry a tune and have often been asked to not sing by my kids. 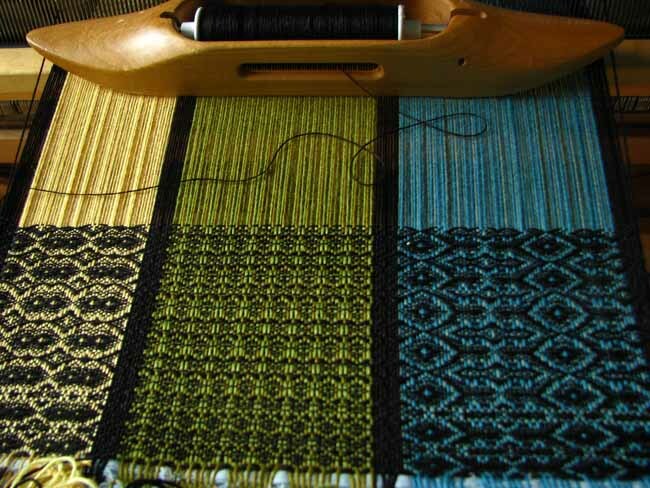 After getting up and doing a couple of “I love this weaving” happy dances, I made my hubby and daughter come and admire my progress…multiple times. Into the second scarf I am still loving the rhythm and feel of weaving this pattern. I tried a couple of different treadlings and none felt quite as right as this one. 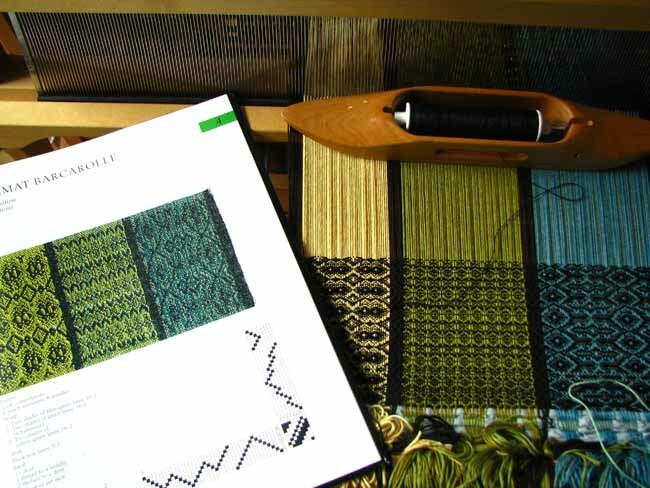 I am weaving this with Bambu 7 in the warp and the first scarf has a finer Bambu 12 for the weft. The second scarf is weaving up almost too fast using Bambu 12. I think I will be tying on a couple of more scarves in a different colorway ; just to keep the music playing. this is a beautiful weave pattern. my weaving professor in undergrad had 3 of malin selander's books – what a treasure!